"This book is powerful stuff. When the hero of the story is a cockroach, you are assured of a controversial, illuminating, and fascinating discovery of where the financial risks really lurk and how to avoid them. 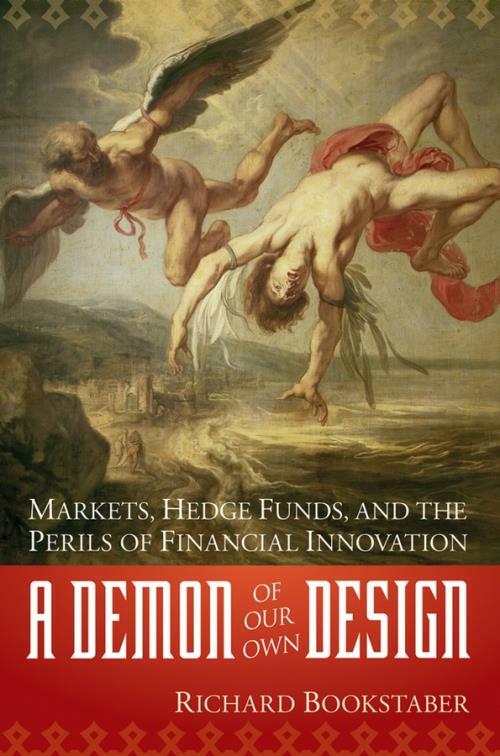 Bookstaber knows whereof he speaks: I have read every word of his sophisticated essays on why market crises are inevitable, why investors are their own worst enemies, and how regulators should keep out of their way." "Are you ready for the real deal? An insider, everysider view of the Wall Street calamities that have kept investing tantalizingly hot and frighteningly volatile since the crash of ′87. For an in–depth, curtains–open, and coolly written exposition of Wall Street, Bookstaber is my man." "Exactly WHY do markets misbehave? Rick Bookstaber draws on his extensive knowledge of today′s complex financial markets to set forth many of the reasons endogenous risk is so large AND so ominous. He understands one of the most sobering aspects of this risk: its sources are far too complex to be meaningfully assessed. This gives lie to current regulatory bromides that ′everything will be OK provided that we better assess and manage risk,′ for the risks that matter most are non–assessable!" —H. "Woody" Brock, President, Strategic Economic Decisions, Inc.
"Rick Bookstaber was at the nexus of many of the financial crises of the past twenty–five years. His recollections and smart analyses of markets, meltdowns, and the people who caused them make for a genuine thriller."